The Kaiser Family Foundation came out with their 2016 Medicare Advantage update this week. It shows that 31% of Medicare recipients are enrolled in a Medicare Advantage program nationwide. This percentage has been steadily growing since 2008 when 22% of recipients were enrolled in Medicare Advantage. The study reported that 38% of Arizona residents are enrolled in Medicare Advantage programs. 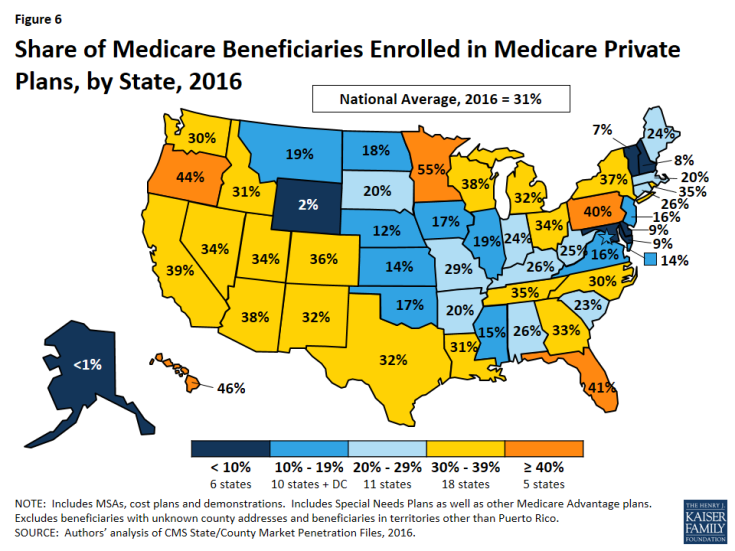 Medicare Advantage enrollees nationwide paid an average Medicare Part D premium of $37, about $1 less than in 2015 and $7 less than in 2010 when the Affordable Care Act (Obamacare) was enacted. Arizona Medicare Advantage enrollees enjoyed the 4th-lowest Part D premiums in the nation at $15. Your premium will vary based on the county you live in, however.